I gave up dairy milk decades ago and enjoy various alternatives like almond milk (which I prefer to make from raw almonds), hemp milk (I love TEMPT from Living Harvest) and of course, soy milk (which I now make myself with this nifty machine!). To be honest, I've never tried making it without a machine. It sounds like a pretty long and messy process. Besides, you know how much I love gadgets and cooking toys! So I bought a Soyapower Plus Soy Milk Maker by Sanlinx. It sells for $119.95 with a one year warranty. 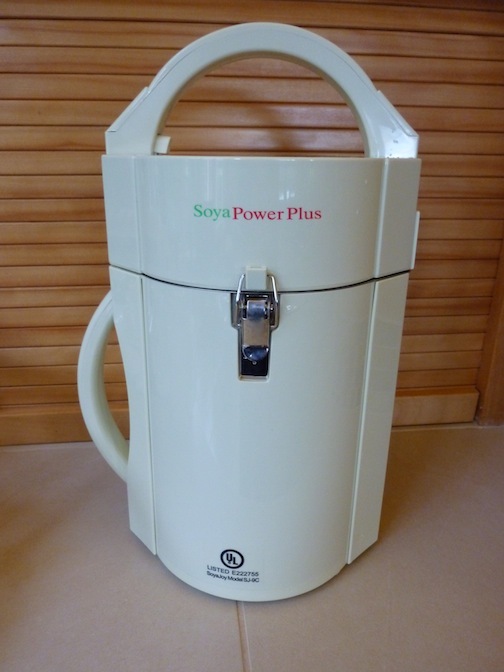 The SoyaPower Plus comes with the soy milk maker and a detachable power cord. The unit is lined with stainless steel which is important because I don't want to be cooking in plastic. Ironically, it comes with a plastic container into which you are supposed to pour strained, hot soy milk! They also supply a metal strainer, a cleaning kit (I've never needed to use it), some recipes and a small package of soybeans (more about those later). It also has a convenient little cup which measures exactly how many beans are needed to make one batch of soy milk. After using the machine successfully 2 or 3 times, the machine started blowing the fuse in my kitchen. Sanlinx took the machine right back and tested it numerous times. As expected, it worked perfectly for them! So being a retired electrical engineer, I suggested that it might be the power cord. Of course we forgot to send that back with the machine which certainly would have made their job of detecting the problem easier. They said they never had a bad power cord problem before. After sending the machine back to me with a new power cord, it worked. Oh well, I guess it was the power cord. All in all, I was pleased with their responsiveness. (1) Put the beans in first, then measure the water to the "lower line". 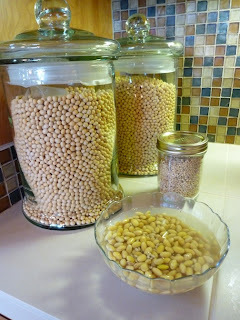 By putting the beans in after filling to the water line, I was overfilling the container. (2) Never soak the beans more than 12 hours. (3) When putting the machine head inside the container, make sure the sitting position is correct and the security latches are aligned. I must say, these guys are very helpful when you have a problem. Soak beans and barley for 6-8 hours (never more than 12). By the way, that's what 13 pounds of soy beans looks like! * To use their measuring cup, first put 1 tablespoon of barley into the measuring cup. Fill the rest to the top with soybeans. Soak the soybeans and barley for 6 to 8 hours (do not soak the rolled oats). Rinse the beans and barley and add to the soy milk maker along with the rolled oats. Fill the SoyaPower Plus with filtered water up to the lower line. To make the soy milk faster, start with boiling water. But even when you start with room temperature water, the process is very fast (usually less than 15 minutes). Make sure the metal sleeve that covers the blades is tightly secured. Press the button that says "Soy+"
When it is done the machine will start beeping. Unplug to turn the machine off and remove the top of the machine. 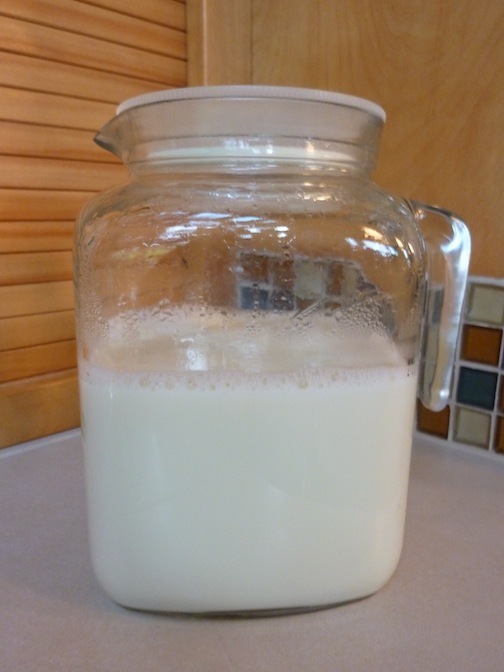 Let soy milk cool a bit before straining it into the plastic container. Strain the soy barley oat mixture through the metal strainer. Gently push residue from side to side with a spoon. The residue is called "Okara" and can be used in other recipes. Stir in salt and sweetener. Pour soy milk into glass storage container and refrigerate. A sample of Laura Soybeans came with the soy milk maker. These beans are grown on a farm that has been owned and operated by the Chambers Family for 5 generations in Corwith, Iowa. It's a pleasure to support a family farm that cares about quality versus an industrial farm that only cares about quantity. Although these soybeans are not "certified" organic, they are non-GMO (genetically modified). Jonathan Chambers took the trouble to explain their farming practices to me and they were quite impressive. They use a 2 year crop rotation and do not use any commercial fertilizers on their soybean crop. 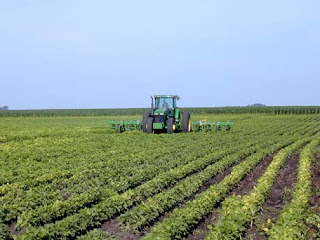 They mechanically till early in the season and later they actually "walk" the field with garden hoes to take out large weeds that would make harvest difficult. Him and his dad grow their own seed and sort them by hand for future generations of the Laura beans in order to keep the seed as pure as possible. You can order beans directly from the Laura Soybeans Website. The smallest amount you can buy from them is 13 pounds for $24.95 which includes shipping. That's what you would pay for about 6 gallons of store-bought soy milk and 13 pounds of soybeans will make about 24 gallons! Bottom line, I'm enjoying my little soy milk maker. I use it 2 or 3 times a week. I no longer have to worry about running to the store to buy milk. And although I had a few issues with the SoyaPower Plus, the company was extremely responsive. In fact, during the first 30 days, I could have simply asked for my money back. I am so glad that I didn't! My next adventure will be to try and make my own tofu. I'm also busy thinking of ways to use that wonderful, nutritious, fiber-rich okara. It's so warm and creamy, I find myself eating it with a spoon while I'm straining my soy milk! Saturday night I was fortunate to hear Vesanto Melina discuss some very important issues about raw food vegan diets. 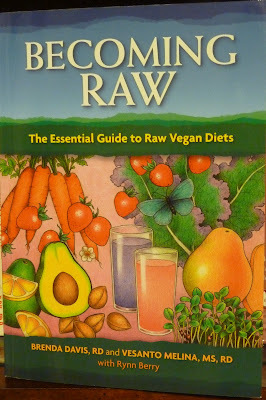 Besides Becoming Raw, Ms. Melina has co-authored Raw Food Revolution Diet, Becoming Vegan, Raising Vegetarian Children, Food Allergy Survival Guide and The New Becoming Vegetarian. She has taught nutrition at the University of British Columbia and at Seattle's Bastyr University. In short, she's spent most of her life studying and writing about plant-based nutrition so she is truly an expert in this field. (1) What contributions do plant enzymes make to digestion? (2) Are cooked foods toxic? (3) Can we get enough vitamin B12 from plant foods or from the production of B12 in your intestines? (4) Can raw food diets reverse chronic disease? Most raw foodists regard the preservation of enzymes as the holy grail. It is believed that the enzymes found in uncooked food can work together with the enzymes produced by the body itself to more efficiently digest food. This may reduce the amount of enzymes the body has to produce allowing it to preserve its energy for other activities. Raw foodists often experience high energy which many attribute to the consumption of raw food enzymes. I myself have experienced high levels of energy when on a raw food cleanse (when I go completely raw for 1 month) followed by extreme fatigue when I consume my first cooked meal after my cleanse. Contrary to these beliefs, Ms. Melina says that enzymes are not the core reason for the benefits of a raw food diet. She claims the science shows that food enzymes can provide some initial digestion which can begin when food is chopped, juiced, pureed and chewed, but the amount of enzymes in food is much smaller than those produced by the body. Because of their relative quantities, some experts feel that plant enzymes do not play a significant role in human digestion. However, she gave two important examples where plant enzymes are critical in providing health benefits and therefore the foods should be not be cooked to obtain maximum benefits. These are myrosinase and alliinase. Myrosinase is an enzyme found in raw cruciferous vegetables iike broccoli, kale, cauliflower, bok choy, brussels sprouts, etc. These veggies all contain important sulfur-containing compounds called glucosinolates. Myrosinase allows the conversion of glucosinolates to isothiocyanates which are bioactive metabolites known to trigger other enzymes in the body to prevent and fight cancer. But unfortunately myrosinase is deactivated at 140 degrees F. Bottom line, if you cook cruciferous veggies more than lightly steaming them, you may lose much of their cancer fighting abilities! Allinase is an enzyme found in raw garlic and onions and other vegetables in the allium family. Other vegetables in the allium family include chives, green onions and leeks. Allinase converts an organosulfur compound found in allium vegetables to allicin which has many powerful properties. Allicin is known to have anticancer, antibacterial, antifungal, antimicrobial and antiparasitic properties. It also is known to help lower cholesterol, thin blood and reduce inflammation associated with arthritis. Unfortunately, allinase is destroyed by heat. If you let garlic sit for 10 to 15 minutes after crushing or mincing it before it is cooked, it allows sufficient conversion to allicin and it can withstand some amount of cooking. However, depending on the heat and amount of cooking time, much of the health properties of the garlic may still be lost. I remember seeing the first infrared burner on BBQ grills thinking that they should just call it the "cancer feature". These burners can grill meat over 700 degrees F! Ms. Melina discussed the health damaging by-products that can be formed when foods are subjected to very high temperatures. HCAs (heterocyclic amines) are generated when animal products like meat, poultry, fish and eggs, are barbecued, grilled or fried. Consumption of HCAs can increase the risk of colorectal, stomach, pancreatic and breast cancers. Grilling veggies does not produce HCAs. PAHs (polycyclic aromatic hydrocarbons) are generated from grilled or charred meat, poultry, fish, grains, sweets and fats. An example of this is burnt toast. Like HCAs, PAHs can damage DNA and PAHs have been linked to cancer. AGEs (advanced glycation end products) are formed when proteins are cooked with sugars without water. Browning is an indication of AGEs, such as browned meats, bread crust, cookies, etc. These have been linked to accelerated aging, impaired immune systems, heart, nerve, eye and kidney diseases as well as diabetes. Acrylamines form when foods high in carbohydrates and low in protein are subjected to high cooking temperatures exceeding 248 degrees F. This is extremely bad news for all of you potato chip and french fry lovers! Consumption of acrylamines may also be carcinogenic. Besides forming carcinogenic by-products, Ms. Melina pointed out that as much as 50% to 80% of vitamins can be lost in the cooking process and 30% to 40% of minerals can end up in the cooking water (so use it to make soup!). By eating foods raw, you will get the optimal amount of vitamins and minerals. Phytochemicals, or plant chemicals, are what gives plants their colors and many other characteristics. When consumed, they have numerous health benefits, many of which are lessened by the cooking process. But this is not always the case. Some phytochemicals increase with cooking. For example, studies show that the availability of the phytochemical, lycopene, increases when tomatoes are cooked. It is believed that cooking breaks down the cell wall. 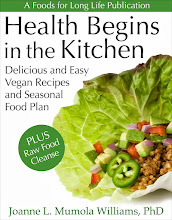 A list of vegetables and what effect cooking has on their phytochemicals can be found on pages 49-50 in Ms. Melina's book, Becoming Raw. Like many other well regarded nutritionists, Ms. Melina also agrees that you cannot possibly get enough vitamin B12 from plant food or from the production of B12 in your intestines. Vegetables purchased today do not contain B12 producing bacteria (as they are free of dirt) and the B12 produced in your body is done further down the intestine beyond the point the body is able to absorb and utilize it. Raw food vegans must supplement as they do not eat fortified foods. Vegetarian formulated Red Star nutritional yeast is also a good source of vitamin B12 but she still highly recommends supplementation. By the way, if you're not supplementing and haven't gotten into trouble yet, it's because your body is extremely good at recycling vitamin B12. But eventually it will catch up with you and deficiency can cause some life threatening health issues like megaloblastic anemia and severe nervous system problems. Fatigue, depression, confusion and irritability are symptoms of B12 deficiency. Ms. Melina also recommended supplementing with vitamin D (her own vitamin D levels were woefully low despite her visit to sunny Hawaii) and perhaps DHA omega 3. Can Raw Food Diets Reverse Chronic Disease? 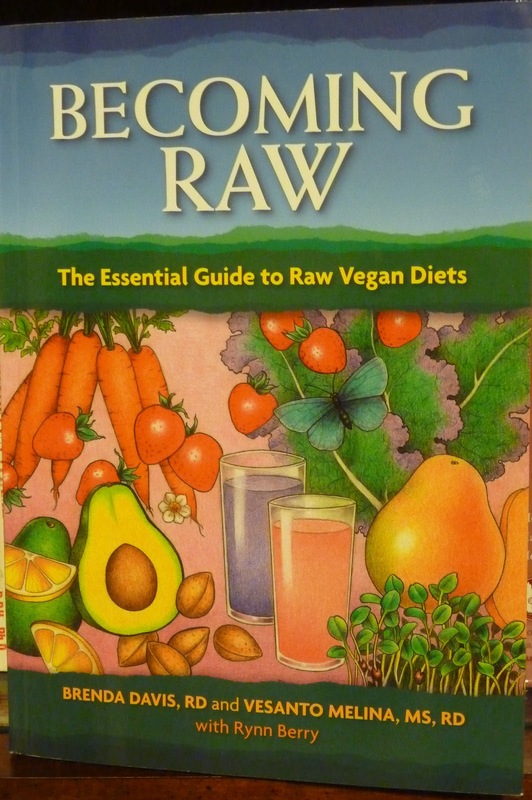 There is scientific evidence that raw food diets can reverse some chronic diseases. Specifically, they have been shown to offer significant benefits for those suffering with rheumatoid arthritis, fibromyalgia and those who are overweight or obese. There is suggestive evidence that a raw food diet may also provide protection against cancer and should be a good supplemental treatment to those who already have cancer. It is also widely acknowledged that raw food diets have the potential to prevent and reverse cardiovascular disease due to the high content of antioxidants and phytochemicals. The caveat here is that without B12 supplementation, there is an increase in homocysteine and therefore an increased risk of heart disease! Supplementation with vitamin D and omega 3 fatty acids is also required. And finally, there is also strong suggestive evidence that raw food diets can prevent and reverse type 2 diabetes. (See my post where my friend Kannan prevented type 2 diabetes and metabolic syndrome with a raw food diet). Ms. Melina also indicated that there were instances of people with type 1 diabetes who responded favorable to a raw food diet. The above vitamin and fatty acid supplementation is also recommended to achieve the benefits of protecting and reversing all the mentioned disorders. To summarize, Ms. Melina thinks that "Raw Rocks" as she states in her book. There are many advantages to raw plant consumption as it can help us obtain and maintain a healthful body weight and protect us from many diseases. Raw plants contain high amounts of compounds that are good for us and fewer compounds that make us sick. This contributes to the ability of this food regimen to reverse some chronic illnesses. However, she does not feel that the majority of benefits from a raw food diet come from living enzymes and their ability to significantly contribute to digestion. She also points out that several critical nutrients can not be derived solely from raw plant sources, especially vitamin B12. And, Ms. Melina feels that there is an important place for cooked plant foods in our diet and does not think that people need to be 100% raw. A big thanks to Vesanto Melina for a wonderful lecture and discussion on this very important topic! A delicious smoothie with mildly detoxifying effects. Safe to drink every day for general health and cleansing. OK, maybe this isn't the green drink you expected to see on St. Patty's day but given the recent events in Japan, it's probably a better choice. On Monday I posted How your diet can help you avoid radiation poisoning where I mention foods that would help you detox should you be minimally exposed to radioactive contamination. I'd like to follow up with a recipe for a smoothie that incorporates some of these important ingredients. Let me assure you that I'm not living in a bunker nor am I duct taping my windows and doors (and neither should you be!). I'm just sharing some ideas for those of you who are concerned. As I mentioned on Monday, I do not see a need at this point to for anyone in the U.S. to take potassium iodide pills. Drinking a smoothie like this has mild detoxification properties which is appropriate at this time for the minimal risk of exposure in the U.S. so far. It's safe to drink everyday and is a healthful breakfast drink even when you're not worrying about radioactive contamination! The base of this smoothie is Living Harvest's unsweetened Hemp Milk, rich in both omega 3 and omega 6 essential fatty acids needed for cell renewal after radiation exposure. An added shot of flaxseed oil provides lots more omega 3. Pectin can bind to radioactive particles and remove them from the body. This smoothie has two good sources of pectin: an apple and an orange. Use organic fruit and notice that the entire orange is used, including the skin where the highest concentration of pectin is found. Kale is rich in chlorophyll which is said to reduce radiation toxicity. Please use stevia to sweeten the smoothie. For optimal detoxing, it's important to avoid sugar, honey, agave and other natural sweeteners. Leave the skin on the fruit for maximum pectin content. 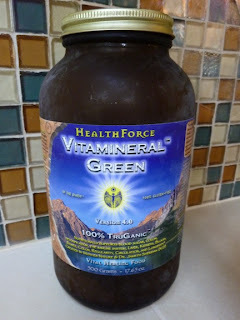 Vitamineral Green, by Healthforce Nutritionals, is a green powder that I've used for years. Its ingredients are quite appropriate for a detoxifying smoothie. It contains high chlorophyll foods like spirulina, chlorella, barley grass, oat grass, wheat grass, kale, broccoli, spinach, parsley and more. It also provides seaweeds like Icelandic kelp, dulse, nori, alaria, and bladderwrack that are high in sodium alginate and iodine. Seaweed and sea vegetables are key in protecting against the absorption of radioactive material and in excreting it from the body. Since this product can initiate a detox reaction, I suggest starting out with 1 teaspoon per serving and building up to 1 tablespoon per serving after a few weeks. Green Super Foods help the body heal itself. Vitamineral Green supports liver, kidneys, blood, bones, colon, circulation and immune function. Instead of searching for potassium iodide pills right now, there are many natural sources of iodine, most of which are seaweeds and sea vegetables. Here are some you can try. Remember the RDA is only 150 mcg per day but like many nutrients, the RDA is sadly on the low side. * You can gradually build up to 1 to 2 tablespoons over a few weeks. You can also substitute spirulina or chlorella for Vitamineral green. See package details for suitable amounts. Add ingredients to a Vitamix or other high speed blender and process until smooth. Per serving (excluding green powder for which nutritional information is not available): 242.5 calories, 11.5 g fat, 1.3 g saturated fat, 4.5 g ALA omega 3 and 3.8 g omega 6 essential fatty acids, 0 mg cholesterol, 3.5 g protein, 29.3 g carbohydrates, 9.5 g fruit sugar, and 6.0 g dietary fiber. Is The West Coast At Risk For Radioactive Contamination? How Your Diet Can Help You Avoid Radiation Poisoning. and remove radioactive particles from the body. It's hard to watch the suffering in Japan from Friday's earthquake. For me, it's painful on many levels. Over the 3 decades I spent in high tech, I traveled to Japan many times during which I fell in love with this beautiful country, its delicate and healthful cuisine and of course, its amazing and caring people. As a child I heard numerous stories from my Dad who was stationed in Japan during the war. He came home with many tales of the wonderful friends he made there. I always wondered how one makes friends during a war with the people that you are supposed to be at war with but that is just indicative of the depth of generosity and kindness possessed by the Japanese people. This tragedy is also very personal since my husband and I have lived on the U.S. side of the "Ring of Fire" for over 20 years, experienced the Loma Prieta earthquake in 1989, and often wonder when the "big one" is going to happen. So my heart goes out to the people of Japan. May they get the strength and support they need to survive this terrible tragedy from all the prayers, good wishes and donations coming from all over the world. Who is at Risk from the Nuclear Disaster? As Japan works diligently to cool their nuclear reactors and prevent meltdown, worldwide experts are already saying that the possibility of radiation exposure remains low. I often disregard experts when it comes to health risk. Need I list the things that the experts think are not a risk? I think not. In a worse case scenario, the core of the nuclear reactor melts and is not totally contained in the reactor vessel or the concrete containment building. Radiation would then escape into the environment. This radiation would not only harm Japan but may also effect other countries, especially the West Coast of the United States. The jet stream winds blow directly across the Pacific ocean and if airborne radiation gets into the jet stream, it can make it over to the west coast in about 36 hours. If there were a nuclear emergency, the local health officials would be passing out potassium iodide pills to help block the absorption of radioactive iodine by the thyroid. With low levels of questionable contamination in the jet stream, I don't think I am going to do anything this drastic since there are plenty of side effects of taking potassium iodide including loss of appetite, nausea, vomiting, and possible severe allergic reactions. A more gentle approach could be adding some foods to your diet. 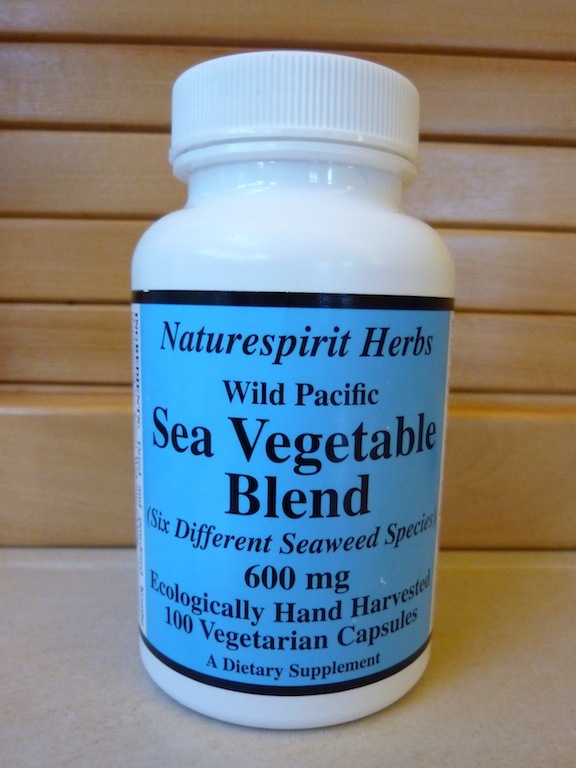 Seaweeds or sea vegetables can protect the body from radiation and also remove radioactive molecules from the body. These properties come from their high content of sodium alginate and iodine. A 1964 study at McGill University demonstrated the ability of the sodium alginate found in kelp to significantly reduce the absorption of radioactive strontium in the intestines and help bind it and excrete it out of the body. To get more sea vegetables in your diet, cut about 3 inches of kombu and add it to the water when making beans, stews or soups. If you are looking for a supplement, a good combination of 6 seaweed species can be found in Naturespirit Herbs' "Wild Pacific Sea Vegetable Blend" which contains Kombu, Wakame, Kelp Fronds, Sea Fern, Gigartina and Iridea. Foods Rich in Chlorophyll have been said to reduce radiation toxicity. So if you've been dying to try that shot of wheatgrass, now is the time! Spirulina, chorella and wild blue-green micro-algae are also rich in chlorophyll as well as more common foods such as kale, mustard greens, collard greens, bok choy and other dark leafy vegetables. Essential Fatty Acids, according to Paul Pitchford author of Healing with Whole Foods, can help initiate cell renewal after exposure to radiation. He recommends a daily tablespoon of fresh flaxseed oil. Pitchford also urges prudence while recalling some Americans who became ill after Cherobyl, not from the radiation but from taking too many remedies simultaneously in hopes of preventing radiation poisoning! 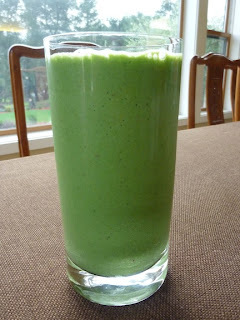 For a simple recipe that combines many of these important foods, check out my Radiation Detox Smoothie. Hopefully the scientists will prevent a meltdown at these nuclear power plants in Japan and no one will have to worry about radioactive contamination. I just wanted to give you a few simple things to do to help prevent illness in case of minor exposure. When you take a Japanese pumpkin, add Indian curry to tropical coconut milk and stir in Israeli couscous, you may just want to wave that zippo lighter while breaking out in a chorus of "We are the World"! I love "fusion cuisine" where you mix different types of cooking. Yesterday, I think I found my new favorite restaurant, "Avatar's" in Sausalito. I will do a proper restaurant review of this amazing eatery in the future, but they feature dishes that combine elements of both Mexican and Indian cuisine. The owner surprised me with a vegan curried pumpkin enchilada with a drizzle of mango sauce! Do you have any favorite combinations of ethnic dishes or ideas for some? Write a comment! Also known as "Japanese pumpkin", this lovely squash has bumpy, dark green skin and is a bit sweeter and denser than a sugar pumpkin. It almost has the consistency of a sweet potato. I really love everything about this squash, especially the fact that you don't have to peel them! Just pull out the seeds, dice them up and throw them in a curry - so easy! I will warn you, however, if you leave the skin on when making a pumpkin pie, you'll end up with a pretty unattractive brown pie! I find it almost impossible to write up a curry recipe for you because there are an infinite number of curry blends using ingredients like turmeric, cumin, coriander, cayenne, ginger and other spices. I usually keep a "sweet curry" and a "hot curry" in my spice cabinet and blend them together in different ratios depending on how spicy I want the dish. So the amount of curry in this recipe is merely a suggestion. I like adding the curry when I am sautéing the veggies as it seems to mix in more easily. Larger than regular couscous, Israeli couscous are really just small, round balls of pasta. I love their size and texture. Unfortunately they are difficult to find in "whole grain". There are a few on the internet but read the reviews carefully before you order. Roland, sold on Amazon, has some bad reviews claiming the couscous tasted "stale". If you have had luck finding a good whole grain couscous, let us know! Steam kabocha squash for 5 minutes or until barely fork tender. Do not overcook. Remove from steamer and set aside. In a small saucepan, bring water to a boil, add couscous, lower heat and cook for 10 to 12 minutes, or until done but still firm. Stir while cooking to prevent pasta from sticking to the bottom. Add more boiling water if needed. In a 5 quart Dutch oven, heat olive oil and sauté onions and peppers for 5 to 8 minutes until tender. Add sweet and hot curry and mix thoroughly. Add peas and cook for several minutes. Add coconut milk, broth and salt and bring to a boil. Lower heat and mix in cooked kabocha squash and couscous and heat for several minutes. Per serving: 242.2 calories, 6.3 g fat, 3.8 g saturated fat, 0 mg cholesterol, 6.4 g protein, 39.6 g carbohydrates and 3.6 g dietary fiber. The Best Vegan Bran Muffin Recipe! Bake-Off Between Kellogg's All-Bran Versus Nature's Path Smart Bran Cereals. Sometimes you Just Need a Bran Muffin! It's not always easy getting 25 or more grams of fiber a day. And you know what happens if you don't! So you think, I'll just buy that big, beautiful bran muffin at Starbucks. That must be SOOOO healthy, right? WRONG! That little beauty has 420 calories, 19 grams of fat, 23 grams of sugar and for all that, it only delivers 6 grams of fiber! I'll show you how to deliver almost that many grams of fiber with a delicious muffin that has less than 150 calories! Besides helping you poop, a diet high in fiber also lowers blood cholesterol levels, helps control your blood sugar levels as well as your appetite which will keep you slim and beautiful! These 150 calorie beauties will fit nicely into any weight loss program. How do you Pick a Good Fiber Cereal for your Muffins? Most popular bran muffin home recipes start with a high fiber cereal. Kellogg's All-Bran cereal has been around since 1916 and millions of batches of muffins have been baked starting with that tried and true ingredient. But is that the best one to use? I looked around for other high fiber cereals and I found one that you might be interested in. It's Smart Bran by Nature's Path. Nature's Path's "Smart Bran" on the left, Kellogg's "All-Bran" on the right. First, let's look at the ingredients. All Bran's ingredients include: wheat bran, sugar, the dreaded high fructose corn syrup, malt flavoring, and a bunch of added vitamins, including the much coveted vitamin B12 (critical for vegans). Smart Bran ingredients include: organic wheat bran, organic oat fiber, organic evaporated cane juice, organic psyllium seed husk, organic barley malt extract, organic oat bran, organic whole oat flour, sea salt. A quick look will show you that Smart Bran ingredients are all organic which is a plus. They also use 3 types of fiber: wheat bran, oat bran and psyllium seed husk, all with their unique benefits. All-Bran only uses wheat bran. All-Bran uses high fructose corn syrup - I know, HFCS has had a bad wrap. In fact they are rebranding it as "corn sugar". I still don't want to eat it, thank you very much. But All-Bran is fortified with vitamins which some vegans depend on. Smart Bran is not. Without boring you with a label comparison, I will say that they are both very low in calories, low in fat, and of course, very high in fiber with both of them around 20 grams per cup. I took the classic All-Bran muffin recipe, made it healthier and "veganized" it: replacing the egg with a flax egg, the milk with soy milk, replaced some of the sugar with stevia, and replaced some of the oil with mashed banana (complete recipe below). The muffins made with Smart Bran resulted in a little lighter and moister muffin although the All-Bran muffin was also very good. Both muffins had very similar calorie and fat content (see below) and delivered almost the same fiber as the Starbucks muffin with one third the calories! The one big advantage of All-Bran is that it's easier to find. I had to drive to the larger Whole Foods in Santa Rosa to find Smart Bran. You can also buy a 6 pack of Smart Bran on the internet (which I did - I think we are set for a while!). Whatever cereal you choose, making your own bran muffins will always be a healthier option than buying them. Also, don't forget to bake with White Whole Wheat Flour. It's as delicate as white flour but has the fiber and nutrients of whole wheat! Fiber Warning: If you aren't currently eating lots of fiber, introduce high fiber cereal and high fiber bran muffins into your diet gradually to avoid gastrointestinal distress and the distress of those around you! Grease a 12 muffin pan. In a large bowl, combine cereal, flour, stevia, baking powder, salt and cinnamon. In a cup or small bowl, make a flax egg by combining the flax seed with water and beating well. Set aside. In another bowl, mix oil, sugar, milk and mashed banana. Add flax egg and mix well. Add wet mixture to dry ingredients and mix until well combined. Fold in cranberries until evenly distributed. Fill muffin pan and bake for 16 to 18 minutes or until a toothpick, when inserted in the middle of the muffins, comes out clean. Remove from oven and let cool on a wire rack for 5 minutes. Remove muffins from pan and serve warm with Tofutti vegan cream cheese or try one of my recipes for Low Sugar Jam. Per serving (using All-Bran cereal): 153 calories, 6.1 g fat, 0.8 g saturated fat, 0 mg cholesterol, 3.8 g protein, 25.4 g carbohydrates and 5.4 g dietary fiber. Per serving (using Smart Bran cereal): 148.9 calories, 6.0 g fat, 0.8 g saturated fat, 0 mg cholesterol, 3.2 g protein, 23.7 g carbohydrates and 5.3 g dietary fiber. Even after waking up to 29 degree weather the other day, which is quite unusual for Sebastopol, our garden kale didn't flinch. I was so afraid I'd find frozen greens where my beautiful kale once stood but luckily all the plants survived. I've been trying to eat it all before my luck runs out so I came up with another raw kale recipe. This one is very similar to Garbanzo Bean and Raw Kale Salad with Lemon Turmeric Dressing so if you like that recipe, you'll like this one too! Great Northern beans take the place of garbanzos and an entire avocado adds creaminess to each bite. This salad also uses three times as much raw kale! This is a dish I like to categorize as "mostly raw" where you get all the benefits of eating the raw kale greens and avocado while getting the nutrient density of the beans. Many people cannot maintain their weight or get enough calories on a 100% raw food diet. "Hybrid" recipes like this offer the best of both worlds. Kale is still flourishing in our winter garden despite flirting with unusually low temperatures. Combine all the dressing ingredients and mix well. Set aside. Add the dressing and mix well until the kale is thoroughly coated. Add the beans and avocado and toss until combined. Top with freshly ground black pepper and serve. Per serving: 202.7 calories, 8.8 g fat, 1.3 g saturated fat, 0 mg cholesterol, 8.4 g protein, 26 g carbohydrates and 8.3 g dietary fiber.